Personnage. Points: 8. Santé: 8. 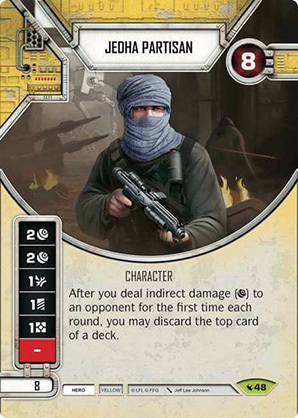 After you deal indirect damage () to an opponent for the first time each round, you may discard the top card of a deck.